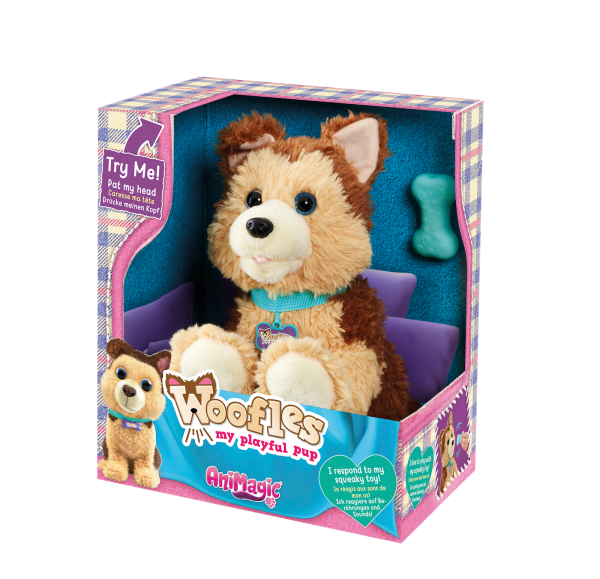 Woofles is your real-life playful puppy pal with the most amazing life like movement! He's the most realistic pup you’ve ever seen! Stroke his head and he'll make cute puppy sounds as he get's ready to play. You can even talk to him or use his squeaky bone toy and he'll react to you, moving around and barking along happily! Woofles reacts to when you stroke his head and makes cute noises. Use his bone toy and he will move around and bark.